We need your help. Someone has been sending us threatening letters. We don't know who it is. Please come to our concert tonight, just in case. Someone is out to get the Grateful Fred, Melvin Beederman's all-time favorite rock-and-roll band. Can he and his partner-in-uncrime, Candace, find out who it is before it's too late? 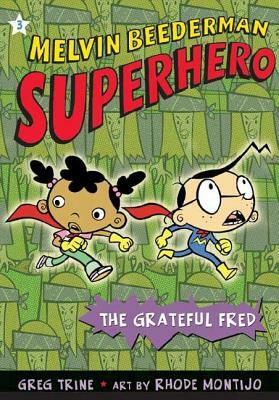 Or will Joe the Okay Guy turn into Joe the Bad Guy and put an end to the Grateful Fred once and for all? In this third installment of the Melvin Beederman series, only the narrator knows for sure!